Arts and Entertainment Network. Made with the participation of the Australian Film Finance Corporation Pty. Ltd. 1992. CD (ST) Epic. 472494 2. 1992. 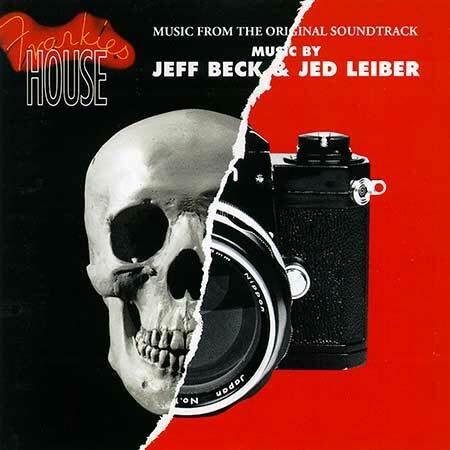 Music by Jeff Beck and Jed Leiber. All tracks Composed by J. Beck and J. Leiber and published by B. Feldman & Co. Ltd. (admin. by Glenwood Music Corporation)/WB Music Corp./Night Bird Music (admin. by WB Music Corp.) (ASCAP)/Carlin Music Corp. (PRS); except "Cathouse" and "White Mice," written by Jeff Beck and Jed Leiber and published by B. Feldman & Co. Ltd. (admin. by Glenwood Music Corporation)/WB Music Corp./Night Bird Music (admin. by WB Music Corp.) (ASCAP); and "HiHeel Sneakers," written by Robert Higginbotham and published by Lily Pond Music (BMI). All songs Control except * published by Nightlight. Guitars - Jeff Beck. Keyboards - Jed Leiber. Album Co-produced by Leif Mases.